Strava has launched Summit – a rebrand of its Premium service, breaking it down into cheaper packs to help users choose an à la carte offering of its features. 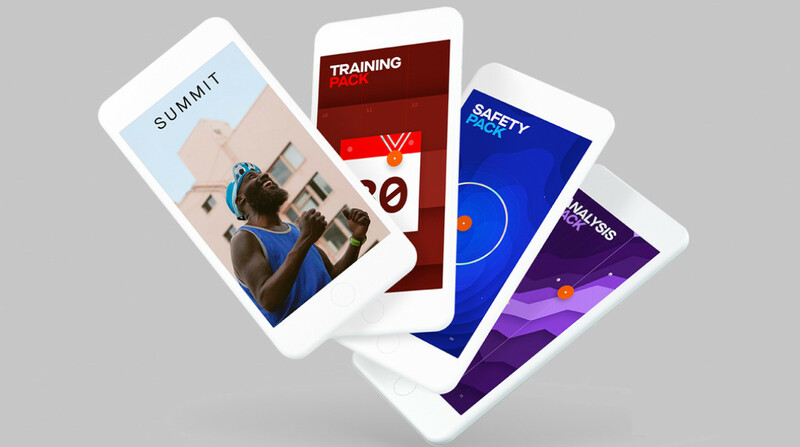 The company’s Premium subscription service is being dismantled into Strava Summit, which comes in three packs, each tailored to a different type of athlete: Safety, Training and Analysis. The Safety pack is made for the off-road explorers who want features like route plans, personal heatmaps and Strava’s Beacon feature for sharing their real-time location with others. Training is fully focused on goals and metrics with training plans, GPS tracking, custom goals, race analysis breakdown and filtered leaderboards. And Analysis goes deep on performance data and connected wearables. You’ll get a better look at the impact of your workouts, while bagging features like power analysis and Live Segments. And if more than one of those sound appealing, you can select two. Or heck, go for all three, and get everything you get on Premium now. While the full Summit service remains at the same $59.99 per year cost as Premium, you can now opt into single packs. You can pay $23.99 per year for a single Summit pack or pay $2.99 a month. You can also pay for all three packs on a monthly basis for $7.99. So why is Strava now changing the way this all works? Strava CEO James Quarles says that 92% of Strava users who set a goal are still active 10 months later, and the obvious response to that data is to make it easier for people to set individual goals. The new a la carte method should make this easier. Now, you might have noticed we mentioned heat maps, something Strava found itself in hot water over back in January when it was revealed these maps were exposing the locations of secret military bases. While Strava wasn’t the only company to encounter issues with this recently, it took the brunt of the criticism, and to its credit it responded swiftly to the exposed oversights. It made its opt-out option more visible, restricted who could view heat map data, and chose to keep routes with little activity hidden. But this is also a popular feature among Strava users, a “big part of the appeal” of the platform, according to Quarles. Speaking of tracking people’s whereabouts, Quarles says Strava’s Beacon feature, which lets you share your real-time GPS location with others, has proven to be a surprise hit for the company. Beacon actually came from the Strava community, born from one of the company hackathon “Jams”, as both a safety feature and way for marathon runners to share their progress in real time. But it turns out that some of the Strava community have found other uses for it. “The use cases around beacon are always amazing to me,” says Quarles. “Many people, when they leave work and want their spouse or significant other to know when they’re arriving at home, give the real-time track to estimate their time of arrival. With Summit, Strava hopes this value will better align with the price users are paying. And as wearable adoption increases, Strava is reaping the rewards, and as these devices do more and track more, Strava will be ready to adapt. Last year Quarles told us that he was "intrigued" by power assessments, and he says he's encouraged by the reducing price of power meters and shoes, as well as acquisitions in the space, that should spur this metric on into the mainstream. "I do think that the potential is absolutely still there, i just don’t know that we’ve seen the adoption yet, but I think we’re excited to help partners like Zwift and others who have those devices to educate and get them into more people's hands so they can take the training benefit of understanding how your foot falls, and as you tackle elevation or you’re just running indoors, to get some normalization around your effort." Right now though, heart rate is the big grower, says Quarles. In 2014, 20.5% of all Strava uploads had heart rate data. In 2017 that number was 37% - and Quarles suggests it's only getting larger. "From a device standpoint, we just continue to see this incredible adoption of heart rate wearables, probably starting in the autumn of last year," he says. "It’s been phenomenal to see runners put watches on their wrists. They recognize the importance of heart rate."